Key Difference: Sounds are mechanical waves of pressure allow us to hear and listen. Noises are unwanted and loud sounds. Noise can also refer to the static that is heard on the TV or radio during weak signals. Sound and noise are two words that are often used interchangeably due to their similarities. However, these two words are completely different from each other. Scientifically, sounds are mechanical waves of pressure that are transmitted through solid, liquid, gas, or plasma. The matter that supports the sounds are known as medium, however sound cannot travel through vacuum. Generally humans can perceive frequencies between about 20 Hz and 20,000 Hz (20 kHz), though this differs depending on humans. Other species such as dogs can hear higher frequencies compared to humans. A person hears sounds when the vibrations pass through the ear and resonate off the ear drums, allowing humans to perceive the vibration as sound. Sounds include any noise, music, speech, etc. The word sound has been derived from Middle English ‘soun’, from Anglo-French ‘son’, ‘sun’, from Latin ;sonus’, from ‘sonare’ to sound. Sounds are usually measured in decibel (dB), the higher the sound the higher the dB value and vice-versa. Sound can also refer to being safe or free from flaw, defect or in good condition. It can also refer to strong, secure and reliable especially in terms of investments. The battle began at the sound of the trumpet. The musical instruments produced a beautiful sound. The birds were sounding so lively this morning. There was a strange sound in the room. The proposal seems like a sound investment. He said he slept soundly through last night. The bridge is structurally sound. She has a sound understanding of the system's structure. A noise is a type of sound, but is usually used to refer to loud and unwanted sounds. In physics and analog electronics, noise is a mostly unwanted random addition to a signal, similar to static on a weak radio station. The term ‘white’ noise is actually derived from there. White noise is a random signal or process with a flat power spectral density and can also refer to the static that is heard from the TV when cable is not available. Noise is referred to as loud sounds that are unpleasant and annoying and unwanted. Noises include car horns, planes, yelling, baby crying, etc. Noise has a more irregular quality and can also include musical instruments which are played horribly. 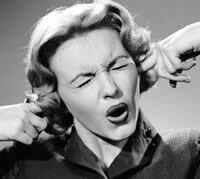 The term ‘noise’ is derived from the Latin word ‘nausea’ meaning “sea sickness”. sound, especially of a loud, harsh, or confused kind: deafening noises. There were noises coming from the neighbor’s house. Noise pollution is becoming a huge problem. We closed the windows to blocsk out the traffic noise. Do you hear that rattling noise?